•	4 modules of the 10 module Education for Sustainable Living course have been completed. 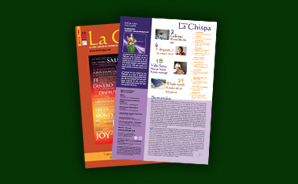 •	More than 50 free events have taken place such as reforestation workshops, group plantation events, volunteer events, kids’ activities and markets. 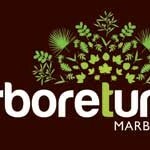 Arboretum Marbella is passionate about educating people and giving them the tools to live a more sustainable life with less environmental impact. Permaculture is central to this aim and so they will be holding the very first Permaculture Design Course (PDC) on the Costa del Sol from 19th-28th October 2012. This intensive ten day course gives students an internationally recognised qualification, following 80 hours of theoretical and practical training. Arboretum Marbella’s goals are in line with the Transition Towns movement, a campaign to create more sustainable communities which reduce their carbon footprint, are less reliant on fossil fuels and equip people with the skills to respond the changing circumstances which diminishing fossil fuels will cause. On 27th October, Marbella Town Hall and Arboretum Marbella are holding a conference entitled “IN Transition – Making a Date with Change for a Better Future.” This exciting conference will be a great way for local residents to learn how to create sustainable communities by offering practical strategies, tools and action plans, using the model of the International Transition Town movement. Highly influential speakers including the co-founder of the Transition Network and author of the Transition Handbook Rob Hopkins will be taking part and it will be a very important conference. Leading up to this event there will be free monthly film screenings about the Transition campaign at FNAC. The screenings are on 8th June, 13th July, 10th August, 14th September and 12th October at 19.00. •	They will be embarking on a community allotment scheme where Retired People and other interested parties can be involved in growing organic vegetables on the site. This will educate them in organic growing practices and they can have the vegetables to supplement their larders. •	They will be starting with Area 2 of the Project, a 2 hectare piece of land where which will be planted using the Analog Forestry technique, this method involves planting in a way which mimics the ecosystem and is sustainable but which also can allow an economic return from the crops. •	Area 1 will be completed by adding a water deposit and final planting activities. For 60€ you can give the gift of a tree. The tree will be planted in Arboretum Marbella and registered under the name you indicate. The recipient will receive a certificate of ownership in which we will indicate the exact location of their tree (using GPS) and the species to which it belongs. This project is a wonderful tool for the community and our environment and being involved is highly rewarding. This entry was posted in Whole Earth and tagged eco living, tree planting. Bookmark the permalink.